If you head out for a meal in Sydney, you would know that it would not be cheap. 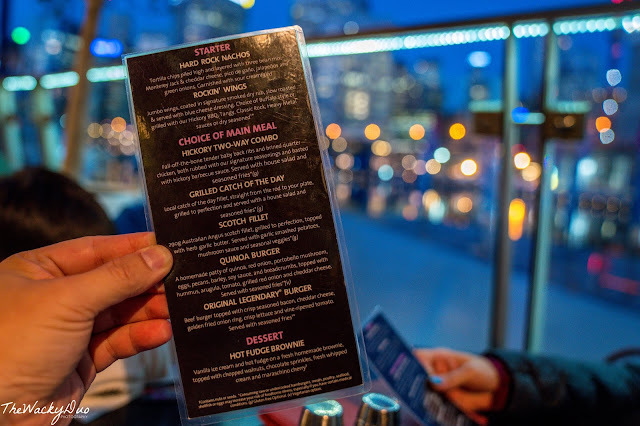 A decent western meal could easily cost you upwards of AUD 80 for a full set ( Starter, Main Course, Dessert, drinks). 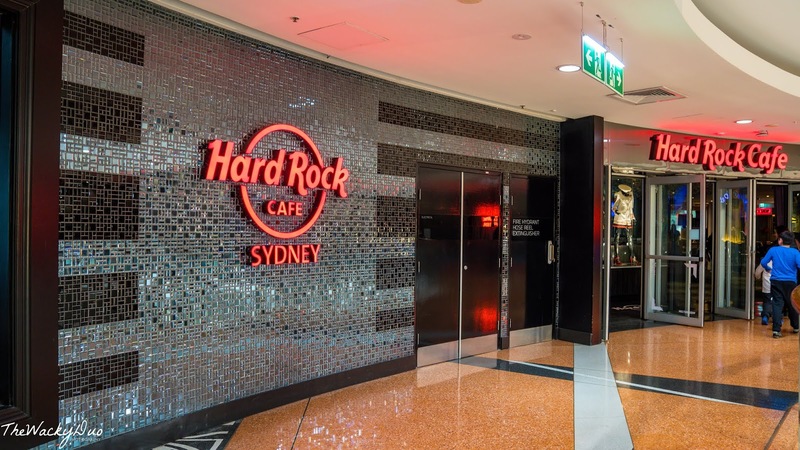 If you are going to spend so much, why not spend it in style at Hard Rock Cafe Sydney. Located at Harbourside Plaza within the vicinity of Darling Harbour, it is easier accessible via ferry or light rail stop at Convention Center. The Platinum Meal was priced at S$55.69 vs $78 original and the Lil Rocker Meal at S$15.19 vs $17.2 , saving us close to 30% on the meals! 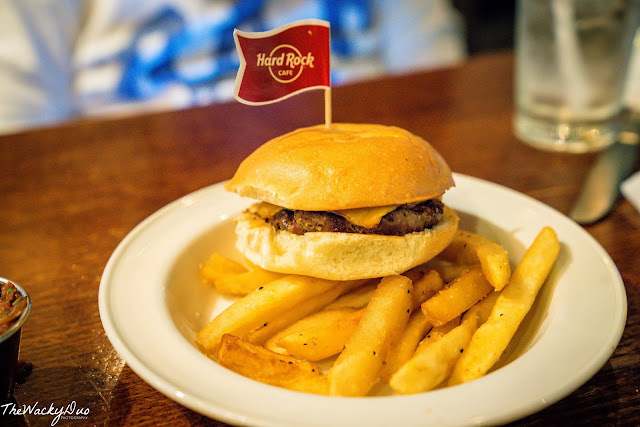 You can book your Hard Rock Cafe Sydney meals at this link. Redemption of the voucher was pretty straightforward. 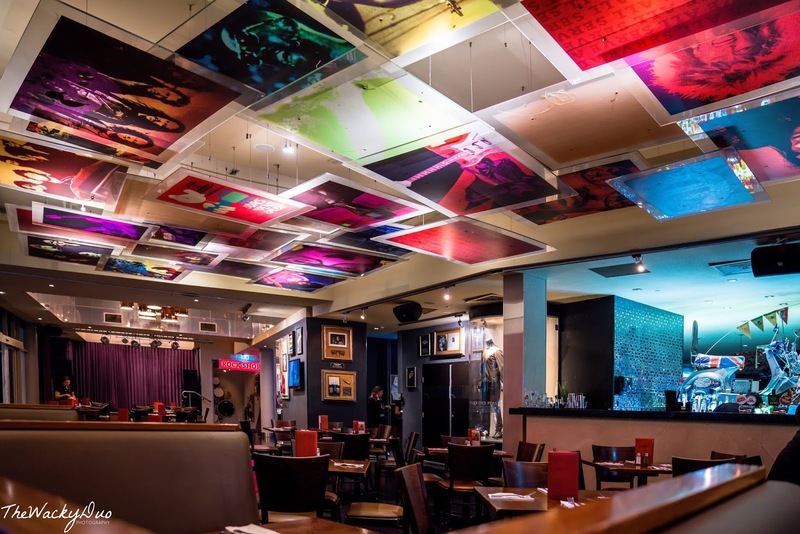 Book a date on Klook and head down with the voucher to exchange for a meal. 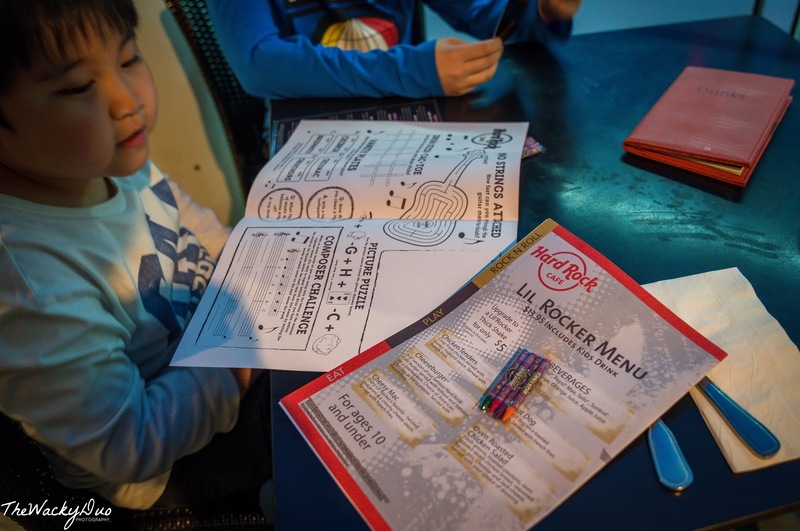 While waiting for food, kids could be entertain with an activity sheet from HRC. The serving is HUGE for this. The portion could easily filled one person dinner. 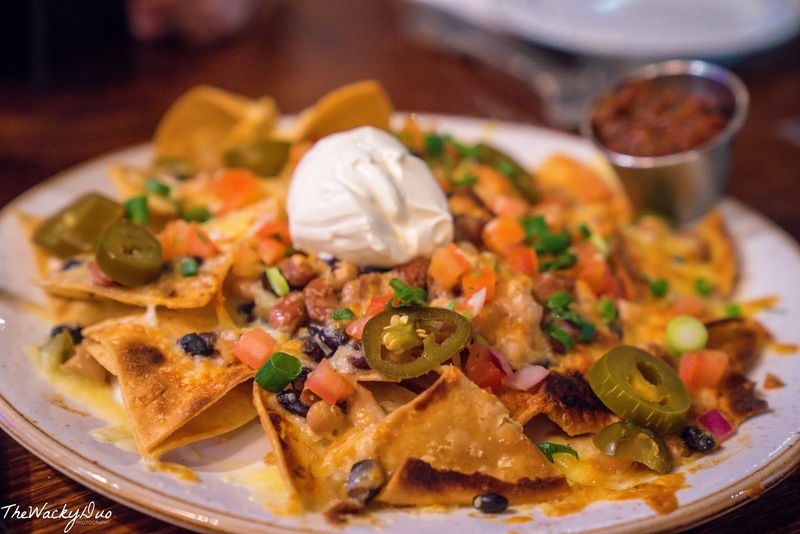 We loved the cheddar cheese dripping all over the tortilla chips. Mixed it with sour cream and you can say OLE! Choose from a a wide variety of sauces ranging from Buffalo style, Hickory |BBQ, Tangy, Classic Rock or even Heavy Metal sauce. Good enough portion for one. 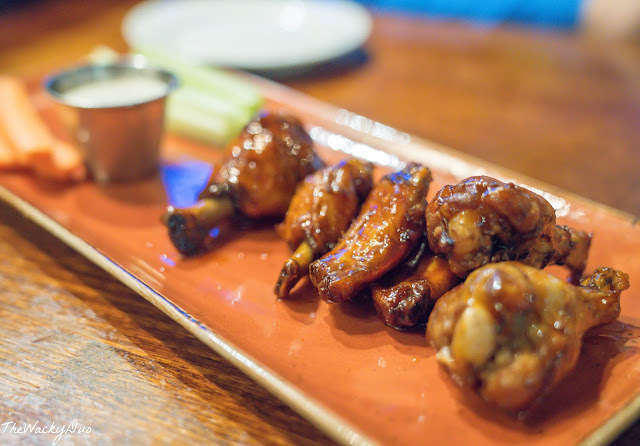 A meat lover's dream. 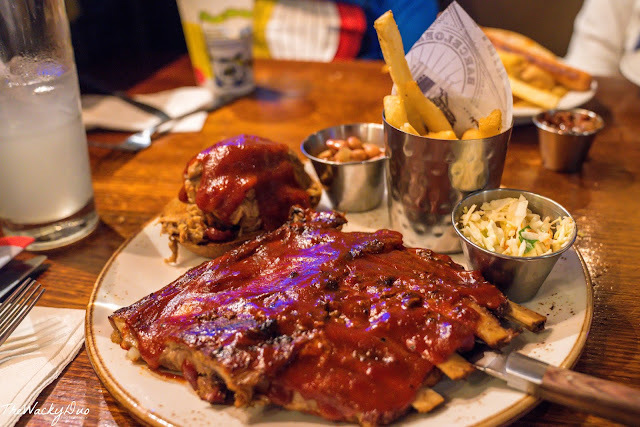 You can opt for a combination between Baby Back Pork Ribs, Barbeque Chicken or Pulled Pork. Any combination will leave you burping thereafter! 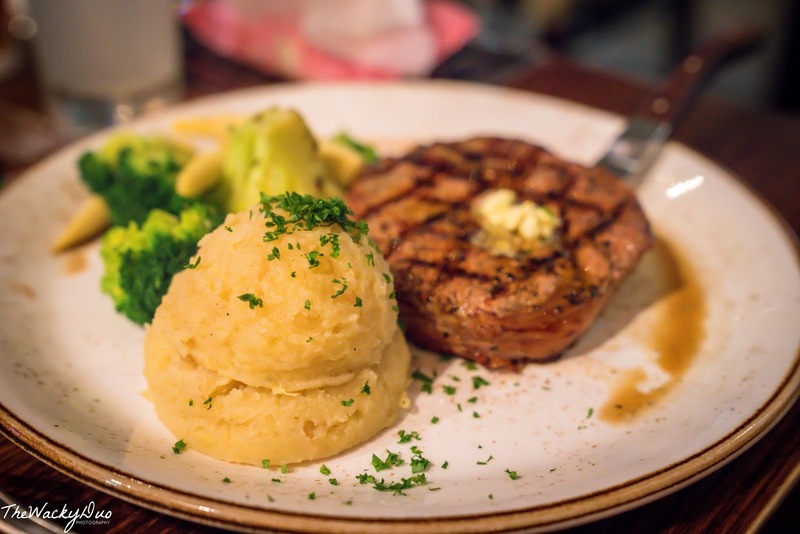 Taste the very best of the 10 oz (300g) Australia Angu Scotch Filet . Char-grilled to your liking and top with matire d' butter, it will make any steak lover happy. Other main course choices include Grilled Tasmanian Salmon , Scotch, Veggie Burger or Twisted Mac & Cheese. 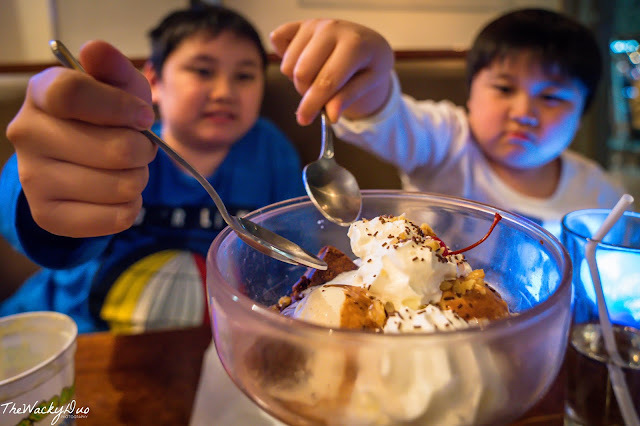 Throw your diet away, this Hot Fudge Brownie top with vanilla ice, chopped walnuts, fresh whipped cream and chocolate sprinkles would leave a sweet taste in your mouth. 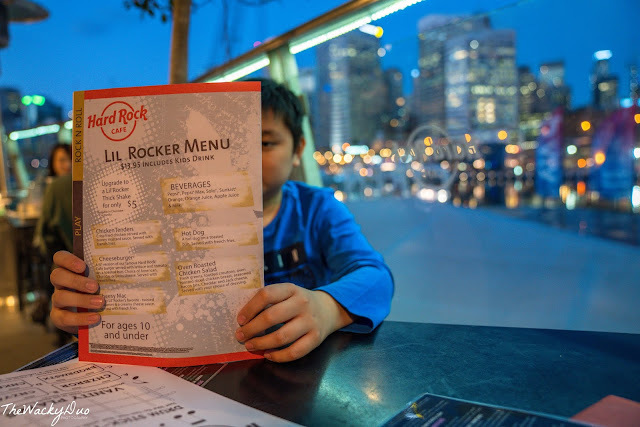 In addition, we had the lil Rocker Menu for kids . This set is meant for children age 2-12. This is what you will get for this set. The meals' portion were pretty generous, especially the Platinum menu. 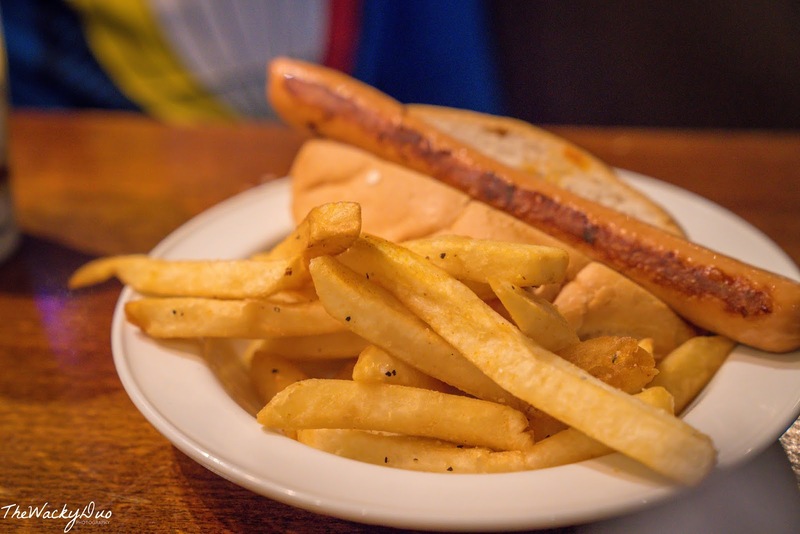 If you are a light eater, you might consider sharing a portion for two. Considering the price, we think it is a great deal! 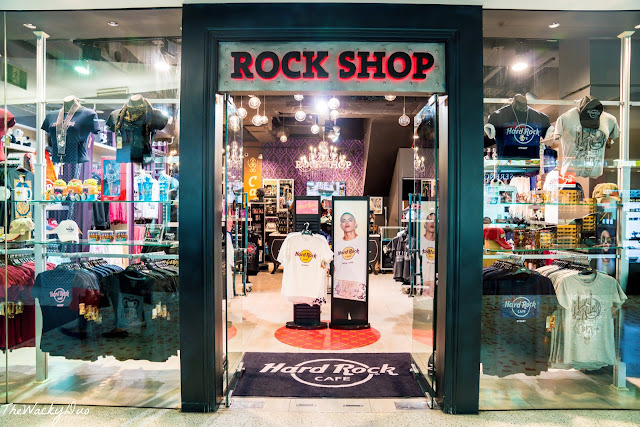 Once you had your fill, do head down to the Rock shop to get your souvenirs! 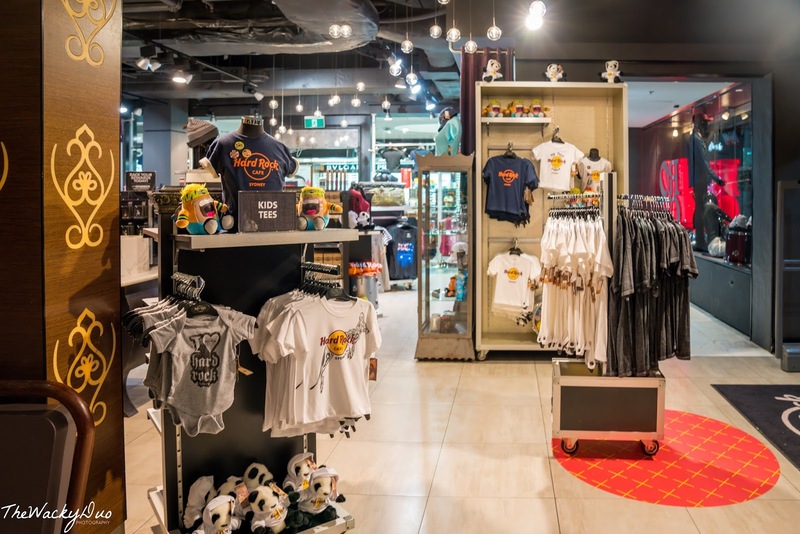 TWD was sponsored by Klook for the purpose of this review. All opinions are of our own.